We've found that when all of the players in our industry talk, great things happen. Join the conversation and get connected to the pulse of the solid-wood industry. Back by popular demand, our day-seminar events with Biesse are one of the most powerful opportunities to get prepared to start an optimized production of quality wood doors! See the build process first-hand with our team of experts breaking down the entire machining process for you, live on a CNC router. Rangate's Application Specialist Bill Wickett will lead a day seminar which digs deep into what anyone thinking about producing doors with a CNC machine should know. 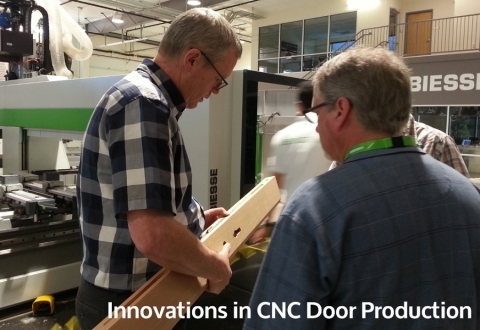 The day will feature substantial live demonstrations of CNC door production, featuring Rangate tooling running on Biesse CNC technology. - An in-depth look at CNC machining and tooling. Registration is free, but space is limited- register early to guarantee your space. We will be bringing our acclaimed presentation on the road in several cities in 2019! Click to find event details for the nearest dates, and reserve your attendance. Tickets are free, and lunch is provided!